Iowa heritage collection ed. of "We have all gone away". Publisher: Reprint. Originally published: Garden City, N.Y. : Doubleday, 1973.. Reprint. Originally published: Garden City, N.Y. : Doubleday, 1973. 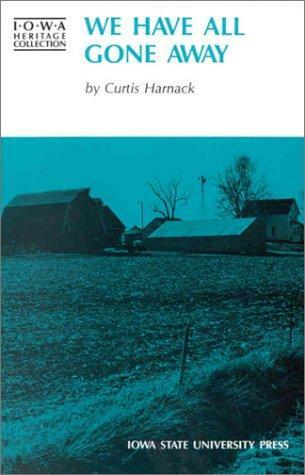 Harnack, Curtis, 1927- > Childhood And Youth., Authors, American > 20th Century > Biography., Farm Life > Iowa., Iowa > Socia, 20th Century, Iowa, Iowa. The Find Books service executes searching for the e-book "We have all gone away" to provide you with the opportunity to download it for free. Click the appropriate button to start searching the book to get it in the format you are interested in.